Two new techniques [well, for me] are showcased in my card today – floating reinkers and gingham. Floating reinkers is a great technique. 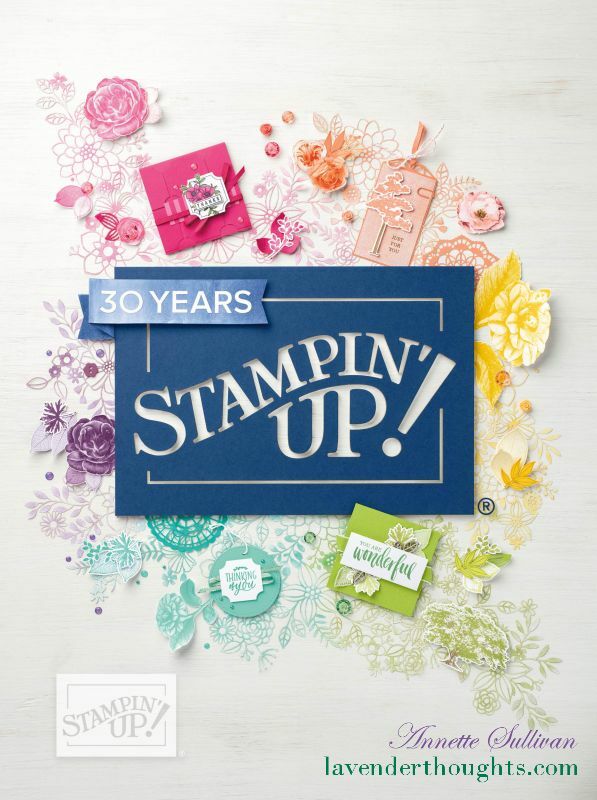 Take a sheet of shimmery white cardstock and stamp an outline image [segmented images work best] with Versamark. Clear or black emboss the image. Spray the image with water until it pools on the cardstock. Using an Aquapainter, take a drop of ink and place it in one of the segments of the image. The ink will spread out in the water and create a colourful image. Repeat with each segment. Allow to dry naturally or speed it up with a heat gun. [I left mine overnight to dry naturally.] Each image will end up with a different finish. It is great to see that the shimmer shows through even the darkest of ink.Try making a few at a time. How about the gingham? Take the Stripes EF and ink with a colour of your choice. 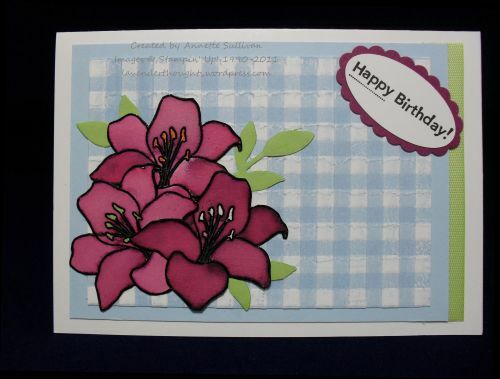 Add cardstock and emboss using the Big Shot. Reink the EF, turn the cardstock 90 degrees and put back in the EF and run through the Big Shot again. Result – a beautiful old world gingham look. A really lovely showcase of those techniques Annette!